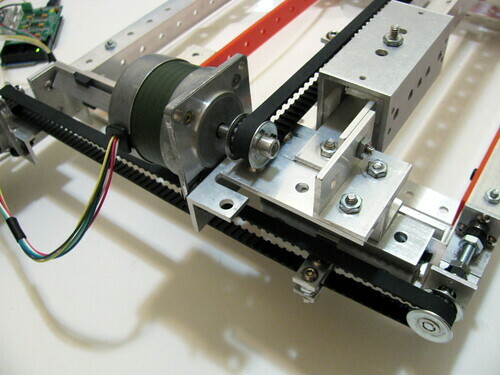 This belt-driven XY plotter has sliding element for X axis and linear bearings for Y axis. 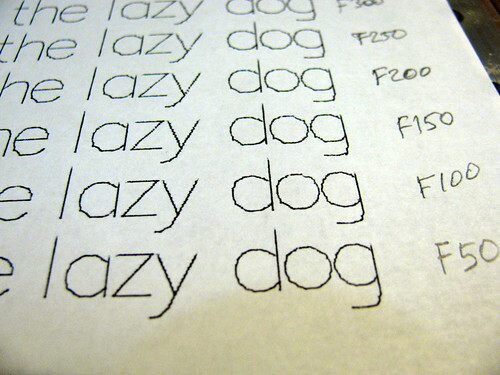 Various light tool heads can be used with the plotter. 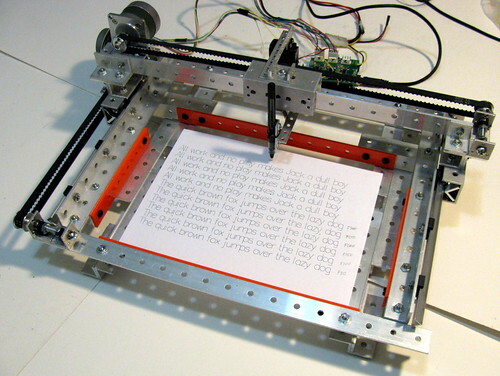 In the example videos, servo-driven pen is used as a tool. 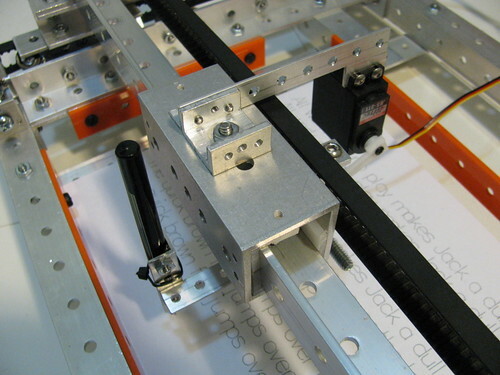 Low friction of Y axis linear bearings allows X gantry to be driven from one end, however this also slightly skews the X gantry relative to Y and thus limits the plotter size and work area. 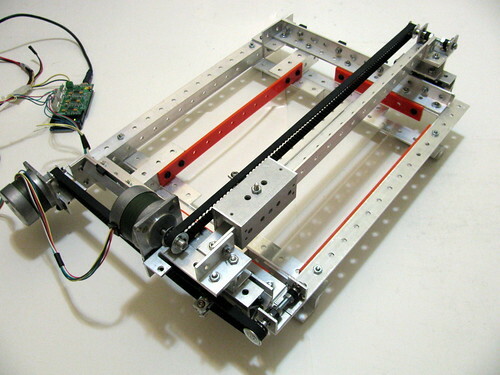 Only mechanical components are listed, no skin or electronics.